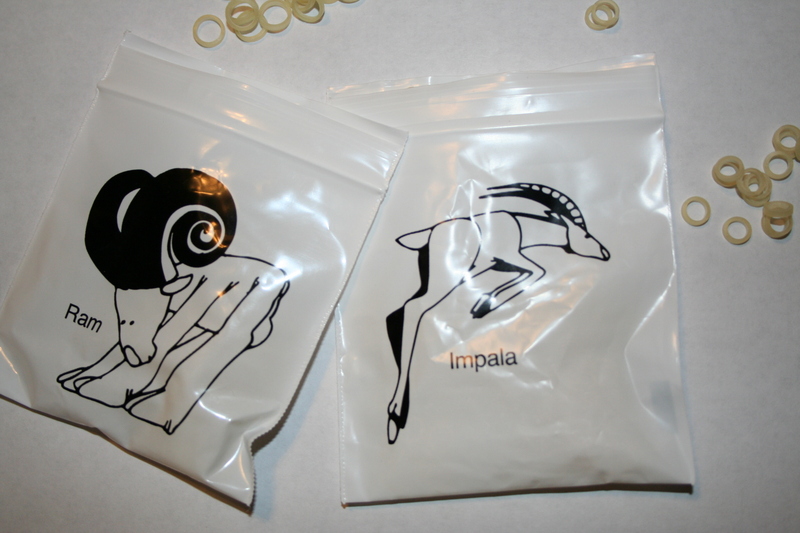 Rams are 1/4″ and Impalas are 3/16″. Pure rubber and marketed to orthodontists with adorable sketches of wildlife on the plastic bags. I have no idea who decided one was a ram and one was an impala, or what goats and antelope have to do with straightening teeth. I do know how inconvenient and uncomfortable the darn things are. And I have “three to six months (more like six months)” left with them. That will make my tenure in braces over 2 years, but I will have a perfect bite when this is all finished. I am not getting my teeth straightened for any vain reason (well, I guess keeping my teeth could be considered a vanity issue): I am getting them straightened because I was biting down on two molars and those molars were threatening to crack under the pressure. The rest of my teeth didn’t connect at all. Most people never noticed my crooked teeth. I had this vampire tooth that jutted out almost at a side angle and front teeth that folded over each other. I was missing eight molars. Wow, that makes me sound like a toothless hillbilly – hardly! I had four molars pulled when I was a kid, to make room for the rest of my teeth. Those were replaced by my wisdom teeth. I lost four more molars to tooth decay and the oral surgeon, but they weren’t noticeably gone to anyone but me. The amazing thing about finally going to the orthodontist has been how my teeth have moved forward and filled in those four gaps. My wisdom teeth have become my back molars. My vampire tooth has aligned with the rest of my teeth and looks normal. My mouth has come a very long way since I consented to the wire torture. Actually, I haven’t had as much trouble adjusting as some young people have. While at the ortho today, there was a young girl who came in who was in so much pain she was nearly in tears. Me, I have something to compare the pain with: an infected tooth or a dry socket. Let me tell you: getting your braces tightened doesn’t begin to hurt like an abcessed tooth or a dry socket. It’s pain that goes away. It’s pain that eases as the teeth settle into position. It’s pain that can be managed with Ibuprophen & Acetomenophen. Anyway, back to the wild animals. The Rams and Impalas. These attach to little knobs on the braces. Forward to back, up and down and even from the left to the right. Oh, yeah. How fun. Anyway, my mouth is a bit sore tonight and I need to go put the rubber bands into the medicine cabinet by my toothbrush so I remember to put them in at night and in the morning. I am determined to get my teeth all lined up so I can bite down on all my molars.